Super Cross is formulated to support healthy cholesterol, triglyceride and blood pressure levels and promote blood flow to the heart. 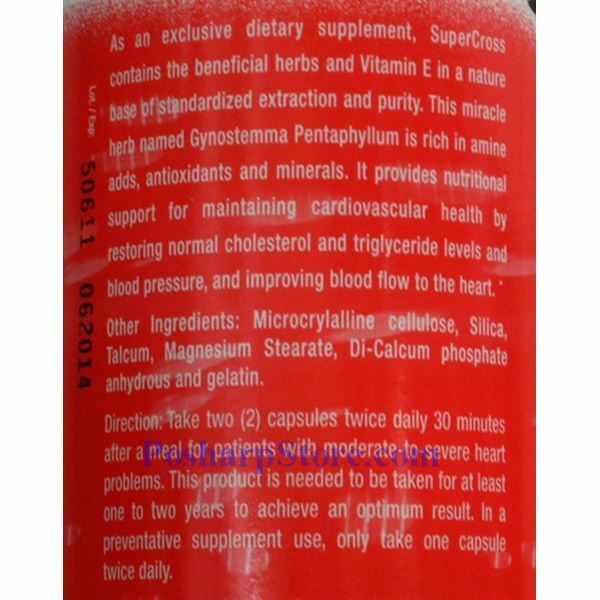 All Natural Way to Support Your Cardiovascular System and Maintain Healthy Cholesterol and and Blood Pressure Levels. Super Cross is recommended for anyone over the age of 21 who is concerned with proper cardiovascular health. People with moderate-to-severe heart conditions should take 2 capsules twice daily before meals. For optimal results this product should be taken for at least one to two years. As a preventative supplement, take 2 capsules once daily. According to current statistics from the American Heart Association, over 60.8 million Americans suffer from one or more forms of cardiovascular conditions. When those individuals with elevated levels of blood cholesterol are added, the number of Americans who may be affected approaches 162 million. When it comes to natural food supplements for promoting cardiovascular health, most consumers take into consideration the major concerns such as high cholesterol and blood pressure. 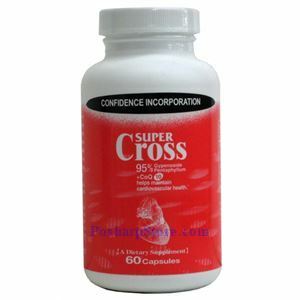 Confidenceusa Inc. is proud to introduce Super Cross, a powerful natural food supplement that contains the safest and most effective nutrients from Chinese and Western Medicine. 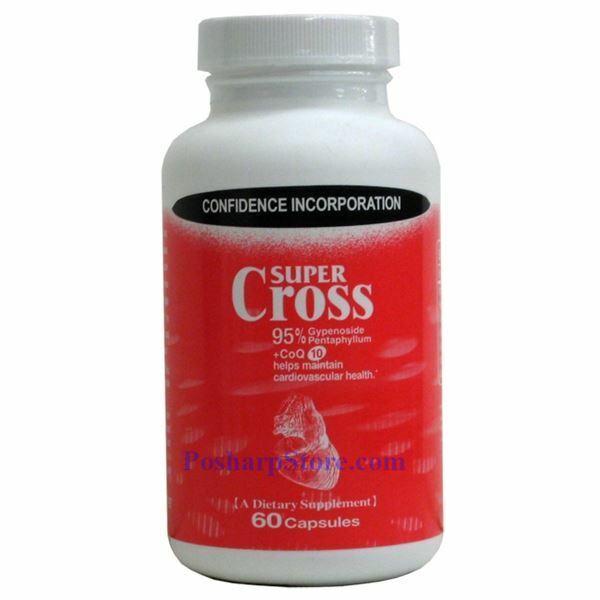 Super-Cross helps support normal cholesterol, triglyceride, and blood pressure levels, strengthen blood vessels and maintain proper blood flow to and from the heart.